We do need the comprehensive, in-depth, objective investigation, reassessment, and reevaluation of the FBI – M.N. 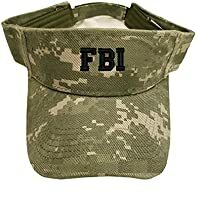 In my humble opinion, we do need the comprehensive, in-depth, objective investigation, reassessment, and reevaluation of the FBI from the times of its inception and establishment: its actions, inactions, and mis-actions, its place and role in the society, and its future roles, not in a “police” state or the “deep” state, but in a free and democratic state. Their mistakes, dysfunctions, and vulnerabilities have to come to the full light, and they have to be assessed and prevented, regardless of the FBI’s present particular roles in the investigations of the current Administration. 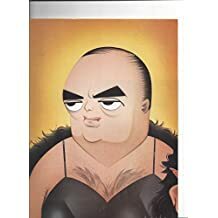 Personally, besides the FBI”s blatant and undue interference in political matters, I am especially concerned about the FBI’s interference in Science, and in Psychiatry. For example, the FBI’s interference in Anthropology is the well known and the well-established fact. 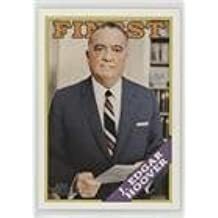 The FBI’s darling “special”, “professional”, and “VIP” informants made the nice careers for themselves in Psychiatry, including the leadership positions in the American Psychiatric Association, not because of their intellectual or other abilities, but because of their special affiliation with the FBI, and informing on the researchers who have these abilities. Some “psychiatric Mata Haries” (minus the looks) apparently would not even stop at using their sexual connections for these purposes. I did write about this previously. These matters are very important, and they have to be investigated vigorously, to the utmost depth, openly, and publically. With this undue and ugly interference, the FBI destroys (possibly, sometimes at the adversaries’ designs and behest) the spirit of the scientific research and the fabric of this society. 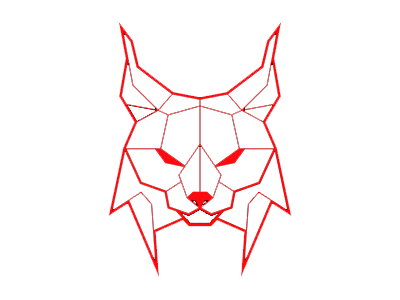 These criminal activities have to be uncovered, reported, and stopped, and the culprits have to be properly punished. FBI, get your hands off the Sciences!!! A vital reminder of the importance of academic freedom, Threatening Anthropology offers a meticulously detailed account of how U.S. Cold War surveillance damaged the field of anthropology. David H. Price reveals how dozens of activist anthropologists were publicly and privately persecuted during the Red Scares of the 1940s and 1950s. 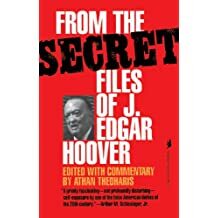 He shows that it was not Communist Party membership or Marxist beliefs that attracted the most intense scrutiny from the fbi and congressional committees but rather social activism, particularly for racial justice. 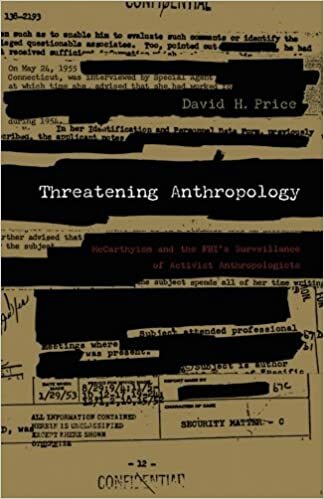 Demonstrating that the fbi’s focus on anthropologists lessened as activist work and Marxist analysis in the field tapered off, Price argues that the impact of McCarthyism on anthropology extended far beyond the lives of those who lost their jobs. Its messages of fear and censorship had a pervasive chilling effect on anthropological investigation. As critiques that might attract government attention were abandoned, scholarship was curtailed. 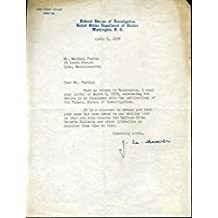 Price draws on extensive archival research including correspondence, oral histories, published sources, court hearings, and more than 30,000 pages of fbi and government memorandums released to him under the Freedom of Information Act. 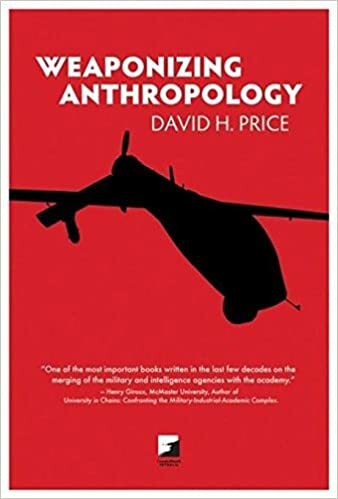 He describes government monitoring of activism and leftist thought on college campuses, the surveillance of specific anthropologists, and the disturbing failure of the academic community—including the American Anthropological Association—to challenge the witch hunts. Today the “war on terror” is invoked to license the government’s renewed monitoring of academic work, and it is increasingly difficult for researchers to access government documents, as Price reveals in the appendix describing his wrangling with Freedom of Information Act requests. A disquieting chronicle of censorship and its consequences in the past, Threatening Anthropology is an impassioned cautionary tale for the present. Carol Bernstein, an FBI informant and a “psychiatric Mata Hari”, one of those criminal nincompoops who destroyed the American Psychiatry.